My childhood is filled with memories of breakfast cereal. Supposedly, as a toddler I enjoyed an entire box of BooBerry all by myself. I was there and yet I don’t know if this is a tall tale my family liked to tell or if it really happened. But in the absence of anything to indicate otherwise, I’m going to accept it as the truth. Also truth is the abundance of sugar in nearly every box of cereal that came into our house. Frosted Flakes? Says it right in the name. Cap’n Crunch? Sounds wholesome enough. Those sharp cornered nuggets cut the inside of my mouth…every.single.time…but I didn’t care. I was loyal to the Cap’n and his sugary cargo. Crunch Berries. Peanut Butter Crunch. The sweeter the better. The one exception was Rice Krispies. I’m not sure how they continually snuck into the rotation. Or course, spoonfuls of sugar sprinkled on top of them negated their “healthy” status. It didn’t really do much for the cereal. But man, it did wonders for the milk. As an adult, my taste in cereal has gotten a little more sophisticated. Homemade granola tops my list. But you’ll also find me putting Cheerios, Chex, and the occasional box of Frosted Mini Wheats into my grocery cart. Sure, I could revive my past relationship with Tony the Tiger but I suspect that I would scarcely recognize him today. My memory of those frosted flakes has softened with age and some things are simply best left in the past. This doesn’t mean that I have banished sweetened cereals from Miss Libby’s childhood. I just keep a tighter rein on them. Often those Cheerios in my cart are of the Honey Nut variety…in part because I’m not buying separate cereal for The Mistah and The Miss and that’s one they will both eat. And when we go on vacation, Libby is allowed to choose her own box of cereal at the grocery store. She can eat as much as she likes but at the end of our trip whatever is left does not get packed up in the car to come home with us. And on rare occasions, I bust out a few simple ingredients and concoct a grown up version of a cereal that young me would have definitely enjoyed. I hide it so that it doesn’t get gobbled up quicker than you can say snap, crackle, pop. And I’m ok with that. Because out of sight is less likely to result in me eating a whole batch of it by myself…..see reference to the BooBerry incident above. 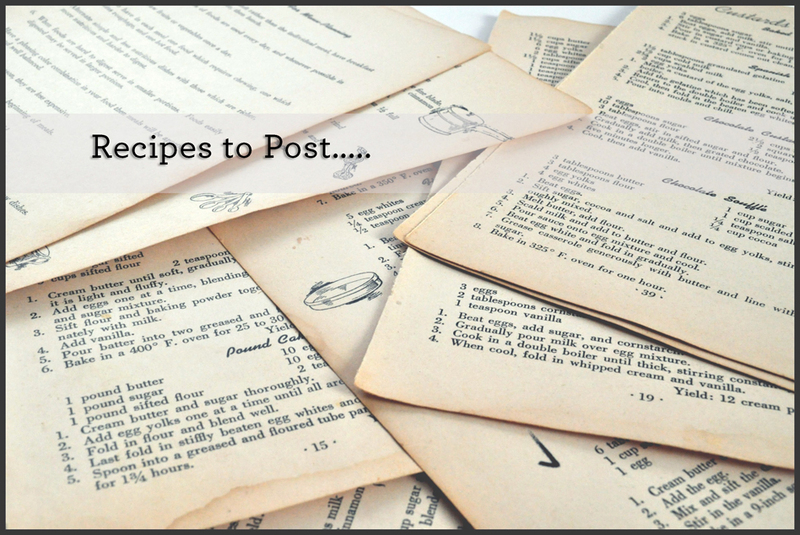 BAH Note: Like many of the recipes that have found their way into my world, I spotted this on Alexandra’s blog. My note on the page I printed out simply said HELLS YEAH. And I always make a double batch. Take that as you will. Set the oven to 275 degrees and line a sheet pan with parchment. In a large bowl, mix together the oats, rice cereal, coconut, cocoa, and salt. Heat the oil and chocolate in the microwave in 30 second pulses until the chocolate has melted. Stir to fully combine the oil and chocolate. Add the liquid sweetener to the melted mixture then pour into the dry ingredients and stir to mix well. Spread in an even layer on the baking sheet and bake for 25 to 30 minutes. Cool completely before storing in an airtight container. From the bottom of my heart, I love you to pieces dear girl. Thank you for the grand adventure of being your momma. This is the final installment of my draft folder clean out. These are recipes I’ve made and hope to make again. But like the random bits of life that accumulate at the back of the junk drawer….fuzz, dental floss, gift cards, subway tokens, and floppy disks….it is all getting cleaned up in one fell swoop. BAH Note: This recipe reminds me of the soup that my grandmother would make with whatever was left at the bottom of the pot after she made stuffed cabbage rolls. Thank you Deb and Rod for helping me keep this food memory alive in my kitchen. Heat the olive oil in a dutch oven over medium heat. Add the onion and cook about 10 minutes until soft. Add the ground beef and salt and cook, breaking the beef up with your spatula, until the beef is no longer pink. Stir in the tomatoes, water, broth, and bay leaf. Bring to a boil. Reduce the heat to a simmer and cook, partially covered, for 45 minutes or until the cabbage is cooked and tender. Stir in the rice before serving. BAH Note: This recipe lived on my refrigerator door for a few months because I kept putting back in the menu lineup. Fresh herbs can be stirred in just before serving. Serve over rice or egg noodles or with biscuits for a hearty supper. Melt the butter in a dutch oven over medium heat. Whisk in the flour and salt and cook, whisking constantly, for about 2 or 3 minutes until the butter mixture loses the raw flour smell. Gradually add the chicken broth and whisk until the roux is completely dissolved into the broth. Turn up the heat and bring the broth mixture up to a simmer. Cook for about 10 minutes or until the liquid thickens. Turn off the heat, stir in the lemon zest and chicken, and stir to combine. BAH Note: Deb calls this decadent. “ridiculously good” is what I scribbled on this recipe. If that doesn’t convince you to make this, I don’t know what will. Combine all ingredients in a food process and blitz until fully combined and powdery. Transfer to an airtight container. When ready to use, whisk together 1/4 cup mix per cup of milk in a saucepan. Cook over medium heat, whisking occasionally, until the milk just comes up to a simmer and the mix is completely incorporated. BAH Note: I parted ways with my ice cream maker but sometimes I just want a creamy, frozen treat. Thanks to Pam Anderson, I can make that happen. There were some great tips and suggestions about substitutions in the comments section of Pam’s post….you might want to clicky on over and take a look. Combine all ingredients in a blender and blend on high, stopping once or twice to scrape down/stir, until fairly smooth with bits of strawberries throughout. Serve immediately for a very soft serve consistency or transfer the ice cream to a container and allow to set up briefly in the freezer.